The musical show will feature music biggies such as A R Rahman and Salim-Sulaiman, along with YouTube's rising music stars. 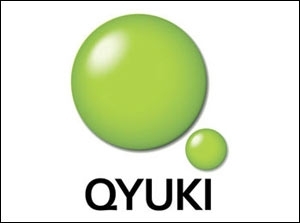 The digital content company Qyuki recently unveiled Jammin', a digital musical collaboration with YouTube, featuring leading music creators from YouTube and Bollywood's iconic composers such as A R Rahman, Salim-Sulaiman, Clinton Cerejo, and Mithoon. Jammin' will bring together YouTube's musical talent Sanam (a band), Shraddha Sharma, Siddharth Slathia, Jonita Gandhi, Arjun Kanungo, Maati Baani, Sanah Moidutty, and Raaga Trippin, with four of Bollywood's most accomplished music composers to create 10 original soundtracks and music videos. The first music video is scheduled to release on August 19, with a new original music video releasing every week thereafter, culminating into a mega live concert at the NSCI Dome in Mumbai on November 11. All the music videos will be curated on the Jammin' channel on YouTube. Satya Raghavan, head of entertainment, YouTube, India, says, "Jammin' is a collaboration between Bollywood's great composers and YouTube stars. It will feature 10 songs and will give a lot of encouragement to aspiring YouTube creators and make them believe that such opportunities will also come in their lives." Speaking about Jammin', Samir Bangara, co-founder and managing director, Qyuki, says in a press release, "Jammin' represents Qyuki's vision of empowering creators to challenge the status quo. We are super stoked to launch the first-ever mega collaboration between the world of Bollywood and YouTube stars and are grateful for YouTube's backing to make this one of the biggest musical properties to be launched in India."